Her detention has been extended by another two months. 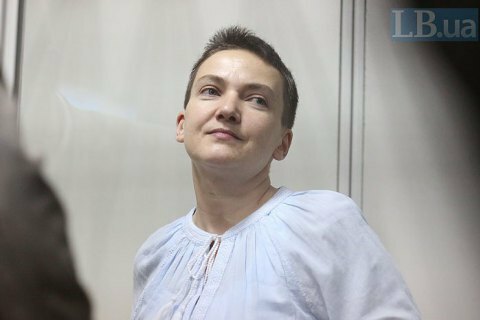 Kyiv's Shevchenkivskyy district court has decided that MP Nadiya Savchenko suspected of plotting a terrorist act should remain in custody. "The risks described by the prosecutor are justified. Savchenko is suspected of planning to commit heavy and especially heavy crimes, therefore there should be tough prevention measures. The court has decided to uphold the senior investigator's request to prolong her custody. The measure of restraint in the form of custody is extended until 13 July 2018. The lawyer's bail request is rejected. The resolution may be appealed with the Kyiv court of appeals during five days," judge Pavlo Slobodyanyuk announced. Savchenko was first remanded for two months on 23 March.